According to the ethos of the late 1800s and early 1900s, a woman’s natural destiny was to be a wife, mother, and guardian of the virtues of hearth and home. Some women wanted more, however, and despite cultural expectations chose to explore their creativity and seek training in art. Often at considerable social cost, these women exchanged washboards, ovens, and mending baskets for the challenges of a piece of canvas or block of stone. 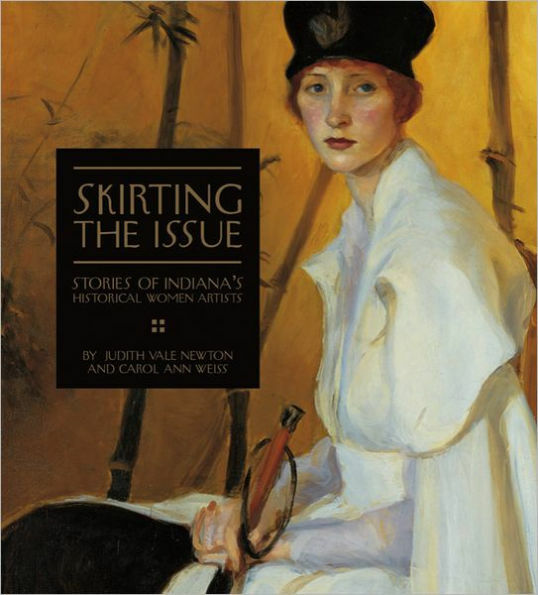 In Skirting the Issue, authors Judith Vale Newton and Carol Ann Weiss present dozens of women from Indiana who chose this route. This book contains more than two hundred images, including full color reproductions of artworks and black-and-white photographs of the artists themselves.